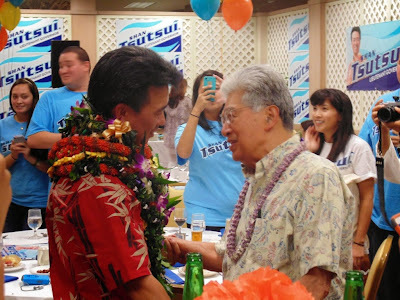 It was was a new generation scene at Shan Tsutsui’s headquarters when former Senator Daniel Akaka (right) who recently retired gave his congratulations to Tsutsui who had just claimed the democrat nomination in the primary election. He is a University of Hawaii graduate and at age 43 one of the younger politicians. He was a member of the Hawaii sentate from 2003-2012 including serving as prisident of the senate from 2010 to 2012. He was appointed Lieutenant Governor and assumed office on December 27, 2012. He will be running with David Ige in the general election. 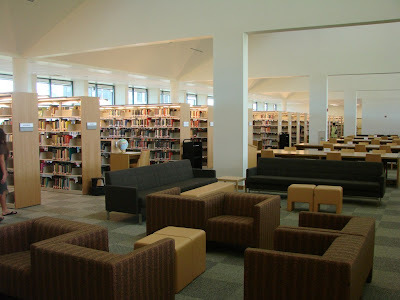 We got to peek into the brand new UH-West Oahu library including some places that the public is not usually allowed to go. 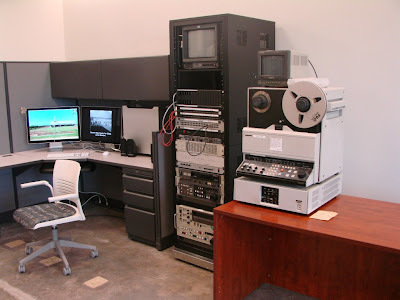 The photo on top is in the digital archive room where the library is set to preserve Hawaii’s history by converting old film reels, tape and other format into digital. Here is a work station set up for just that. There were also boxes and boxes of tapes/reels etc from various television stations and other organizations just waiting to be processed. Should keep them busy for a long time. Below is some books because we can’t feature a library and not show the books. Oddly enough there aren’t a huge amount of books in the library. I guess this is more modern. I did notice a lot of computer terminals to research on and plenty of seating to study at as well as some study and meeting rooms that can be reserved for group study. We end our series on the Bishop Muesum Animation exhibit with a look at a couple of the top exhibits. You can animate yourself into a video clip. 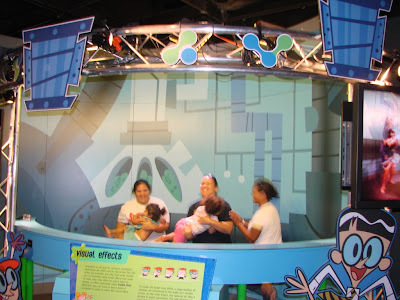 Here guests are in a booth that takes pictures and allows you to simulate those famous Matrix Time moves by having 16 camers take pictures from all angles and a second both does some Time Lapse taking pictures every few seconds to and looping them together for an animation effect. See some examples in our you tube video but to experience it all you really have to hurry to the Bishop Museum by May 25th and check out the Animation Exhibit yourself. Bishop Museum is open daily (except Tuesdays) from 9am to 5pm. Adult Admission $15.95 ($8.95 Kama’aina and military) and child/senior $12.95 ($7.95 Kama’aina and military). Admission includes full access to the museum including the science center, hawaiian galleries, planetarium and much more. See another great review of the exhibit here.